Our quick start guide shows how to quickly and easily use PQA. Want to analyze more documents? Let us know and we can provide you with additional document analysis requests. Patent quality… it’s not that important, right? Wrong! The quality of patent documents is now more important than ever. The Quality Rating indicates how the quality of a particular patent document compares with the quality of many others. It is determined based on the quality-related issues depicted in the chart. A high Quality Rating is a good start, but your patent or patent application may still be at risk. We can help identify and correct other issues which can result in invalidity, non-infringeability, unenforceability, devaluation, increased costs, etc. We can help improve the quality of pending patent applications and, in some cases, issued patents. Up to five patent document numbers can be entered for analysis. Each patent document number must be either a valid U.S. patent number starting with 6,000,000 or a valid U.S. patent application publication number. So long as each patent document number is entered on a separate line, additional characters may be used such as commas, forward slashes, or spaces. PQA filters these characters before analysis. However, the digits of the patent document numbers must be entered exactly. U.S. patent numbers include seven digits and U.S. patent application publication numbers include 11 digits (four digits for the year, one zero, and ending with six digits). PQA will not make any assumptions in this regard and will display errors if patent document numbers are entered incorrectly. The Captcha term must be entered correctly to initiate analysis. If errors are continually encountered, confirm that the term is correclty spelled backwards. The results include a Quality Rating and issue analysis for each patent document submitted. Duplicate patent documents are omitted, so the number of patent documents in the results may differ from the number of patent documents originally submitted. The Quality Rating is a percentile ranking which indicates how the quality of a particular patent document compares to the quality of many others. It is determined based on the quality-related issues identified for the patent document. 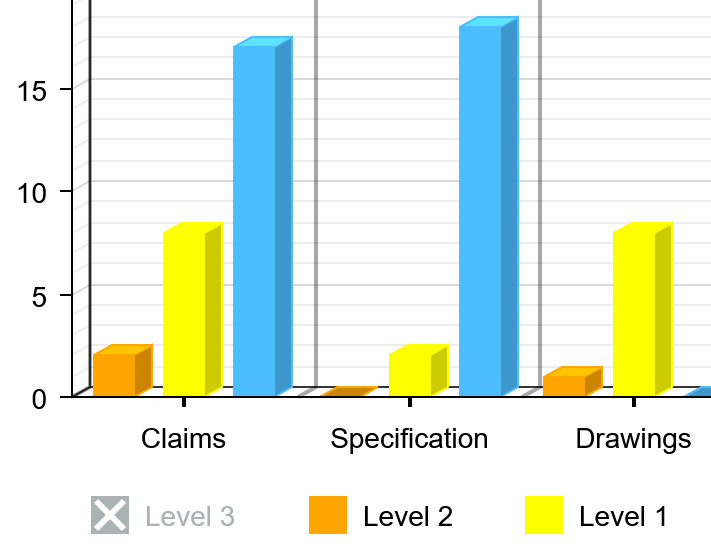 The issue analysis, depicted in chart form, shows the quality-related issues for a particular patent document. The issues are grouped by patent document section (e.g., claims, specification, drawings, and other) and severity (e.g., Level 3 issues, Level 2 issues, Level 1 issues, and possible issues). The number of issues for a particular patent document section and severity is displayed above the corresponding column in a bubble. On a computer system with a mouse cursor, the bubble can be revealed by hovering the mouse cursor over the column and hidden by moving the mouse cursor off the column. On systems with touch input devices, tapping on a column will display the corresponding bubble for a short period of time before it is automatically hidden. The columns corresponding to one or more severity levels may be temporarily hidden by clicking or tapping on the legend items. For example, clicking or tapping on the "Level 3" legend item will hide the four columns corresponding to the Level 3 issues. After the columns are hidden, the legend item will be shown in gray with an "X" in the square. Hidden columns can be re-displayed by clicking or tapping on the legend item again. A Patent Quality Report presenting the results for all patent documents may be exported as a PDF file using the button at the top-right of the results. It includes a Quality Rating and issue analysis for each patent document. The issue analysis is depicted in both chart and table form. 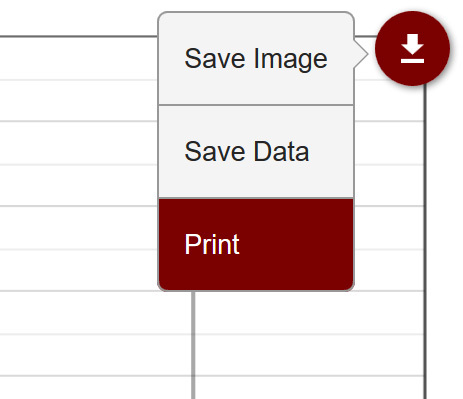 The issue analysis for a particular patent document can be exported using the menu at the top-right of the chart. 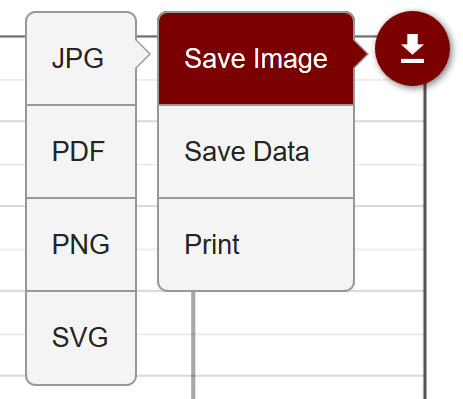 The issue analysis can be exported in chart form as a JPG, PDF, PNG, or SVG file. It can also be printed in chart form. 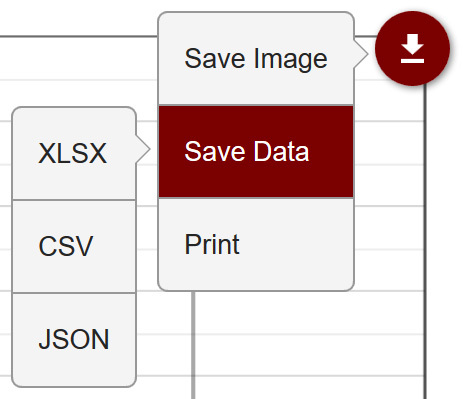 Alternatively, the issue analysis can be exported in table form as a XLSX, CSV, or JSON file. Due to the limited resources of mobile devices, this feature is only supported on computer systems such as desktops or laptops. The menu should not be displayed on mobile phones, tablets, and the like. Patent Quality Analyzer (PQA) is the only patent analytics tool which can be used for free and without sign up to analyze the quality of U.S. patents and patent application publications. PQA performs a comprehensive analysis of patent documents to identify issues and provide Quality Ratings based on the issues. PQA is a de-tuned version of software that we created for our work with investors and operating companies related to patent due diligence. It was designed and coded from scratch by attorneys at Cortex Law Group for internal use. In contrast to the conventional approach involving only superficial chain-of-title verification and review of licenses and other encumbrances, our software is used in the first of an innovative three-step process which allows us to provide much more in-depth analysis. In the first step, we utilize our software to efficiently analyze the quality of any number of U.S. patents or pending U.S. patent applications. Based on an examination of the claims, specification, and drawings, it provides an initial report for each patent document. The initial report includes detailed information about quality-related issues, a respective Quality Rating for each patent document, as well as other information. We then proceed in the second step to manually analyze the patent documents to expose additional issues which cannot be identified by software. The initial report is useful not only in performing the analysis in the second step, but also in combination with the results of our manual analysis to determine further quality-related issues with the patent documents. In the third step, a final report is generated for the client which includes information about the quality of the patent documents based on the issues identified in the first and second steps. The identified issues may ultimately affect validity, infringeability, enforceability, value, cost to prosecute, cost to defend/enforce, and the like. Therefore, knowledge of these issues can be extremely valuable to investors and/or operating companies both before issuance and throughout the lifetime of issued patents. In the case of investors, the final report is often provided as-is for use in combination with conventional due diligence analysis. And where the client is an operating company, the final report is typically provided along with a strategy for improving the quality of the patent portfolio. Although the definition of "patent quality" seems to vary, most would agree that patent quality is a measure of validity, infringeability, and enforceability. Validity refers to how well a patent document meets the statutory requirements for patentability. A higher-quality patent document will better comply with the relevant statutory requirements and consequently have a lower probability of being deemed invalid. The statutory requirements for patentability can be broken into two basic categories: those related to prior art and those related to the patent document itself. Novelty and non-obviousness are the statutory requirements related to prior art. A proper analysis of these requirements should involve assessment of the prosecution history of the patent document with respect to claim construction, prosecution history estoppel, prosecution history disclaimer, and other considerations. The art cited in the patent document should also be evaluated. Statutory requirements related to the patent document itself include written description, enablement, best mode, definiteness, utility, and subject matter eligibility. Subject matter eligibility has become an extremely important and closely-monitored issue in the wake of several Supreme Court decisions over the past few years. Infringeability involves the likelihood of patent claim infringement, the extent of potential infringement, the ease of detecting potential infringement, and the ease of designing around the claimed invention(s). A higher-quality patent document will have a higher likelihood of patent claim infringement and a larger extent of potential infringement. The easier it is to detect potential infringement and the more difficult it is to design around the claimed invention(s), the higher the patent quality. Infringeability is typically assessed before identification of alleged infringing technology such as a competitor’s product, process, etc. For example, many companies use these factors to vet inventions for filing and also to vet pending applications for continued prosecution. In these situations, hypothetical products or services are defined for the purposes of assessing infringeability. Alternatively, where one or more actual products or services have been identified as potentially infringing the patent claims, the actual products or services may be used for the infringeability analysis. To assess the likelihood of patent claim infringement, it is critical to determine whether the products or services – either hypothetical or actual – directly infringe and/or indirectly infringe the patent claims. Although there is no set formula, the likelihood of patent claim infringement is generally higher where the case for infringement is stronger (e.g., literal infringement versus infringement under the doctrine of equivalents), where the number of infringement types is higher (e.g., direct and indirect infringement versus only indirect infringement), etc. Another important consideration affecting the likelihood of patent claim infringement is whether the claims are likely to be infringed by a single entity. Acknowledging that performance of claimed elements by multiple actors can be attributed to a single entity with respect to direct divided infringement and indirect infringement, it is common to see claims which clearly cannot be practiced by a single entity or which can only be practiced by a single entity in very unlikely scenarios. The likelihood of infringement is low where the claims are not likely to be infringed by a single entity. The extent of potential infringement can be determined by analyzing the quantity and quality of the potential infringement. With regard to quantity, some important considerations include the number of competitors producing infringing products or services and the number of infringing products or services. Quality-related considerations include the type of infringer (e.g., competitor versus end user), the type of infringement (e.g., direct infringement versus indirect infringement), and the monetary value of potential infringement in terms of the likely settlement amount, damages awarded at trial, licensing revenue, etc. Assessing the ease of detecting potential infringement may seem like a simple and straightforward task, but it is often not. Most clients and inventors only consider their specific implementation of an invention when making this assessment. However, a competitor’s implementation is likely to be different, thereby potentially making it more difficult to determine if claimed elements are performed. Accordingly, a proper analysis of this issue should consider as many infringing implementations as possible which are likely to be practiced by competitors. The ease of designing around a claimed invention is difficult to determine before an actual product or process is identified which may infringe one or more of the claims. The analysis will typically focus on the breadth of the claims and the ability to modify a product or service to get around the claims. The ability to modify a product or service will take into account factors such as the number of modifications possible, the cost to implement each modification, the impact on the business resulting from each modification, and the like. Enforceability concerns whether or not a patent can be enforced even where the patent may be valid and/or infringed. Examples of issues affecting enforceability include fraud, inequitable conduct, and violations of the duty of disclosure owed to the USPTO with respect to any claim in a patent document. Other examples include common ownership issues involving a patent subject to a terminal disclaimer and inventorship issues. A patent document with any of these issues is of very low quality. Is there a problem with patent quality? Yes. As PQA shows, the quality of the majority of patent documents is poor. For example, even those patent documents with a quality rating of around 90% have an unacceptable number and severity of issues. Why is patent quality important? Put simply, a lower-quality patent document is less valuable and more costly. As will be explained in more detail below, it is important to understand why patent documents are valuable to fully appreciate how their value and cost is affected by patent quality. It is also important to understand why patent quality is now more important than ever in light of the new standard for subject matter eligibility set by recent Supreme Court decisions. Patents are valuable to businesses for a variety of reasons. A patent confers the right to exclude others from making, using, offering for sale, selling, and importing a claimed invention, thereby providing patent owners a limited monopoly and creating barriers to entry against competitors. Consequently, competitors are encouraged to design around the claimed invention. This spurs innovation which is good for businesses and society as a whole. In addition, there are numerous fiscal motivations for patenting. Patents can provide a source of revenue through sale or licensing. And given that it is now common for investors to require patents or at least the filing of patent applications, patents and/or patent filings can help businesses secure funding at various stages. Patents may also increase valuation and provide other advantages related to the sale of a business, a merger, an acquisition, or the like. Patents can also be used as a tool to positively affect the outcome of legal disputes. By encouraging settlement in lieu of costly litigation, patents can help resolve matters in a timely and cost-effective manner. And if a case does proceed to trial, high quality patent claims can help a party prevail. This is true in disputes involving only patent infringement as well as those involving a mixture of patent infringement and other issues. In the latter situation, the patent-related issues often overshadow the other issues and dictate the outcome of the dispute. The value of a patent document can be reduced or destroyed by poor patent quality. A lower-quality patent is more likely to be challenged in post-grant proceedings (e.g., Post Grant Review, Inter Partes Review, Ex Parte Reexamination, and Covered Business Method Review) and/or litigation. And claims of a lower-quality patent are more likely to be invalidated or weakened in one or more of these proceedings. Further, substantive claim amendments are more likely to be made during post-grant proceedings involving a lower-quality patent, thereby increasing the risk that accused infringers will be shielded from liability under the doctrine of intervening rights. Poor patent quality is also likely to increase costs before and after issuance. Prosecution of poor-quality patent applications tends to be lengthier and involve more correspondence with the USPTO, thereby increasing the costs of obtaining a patent (if a patent is granted at all). After issuance, the cost of defending and/or enforcing a poor-quality patent can be significantly higher. And where the claims of a poor-quality patent are invalidated, weakened, or narrowed, additional cost can be expected to fill gaps or strengthen the claim coverage by filing additional patent applications and/or licensing relevant patents. Moreover, under the current requirements for subject matter eligibility, low-quality patent applications are less likely to issue as patents and more likely to incur detrimental estoppel or disclaimer. There has been a dramatic rise in the number of subject matter eligibility rejections since early 2015 spanning a wide array of technological areas. These rejections have been issued by Examiners during routine prosecution and by the Patent Trial and Appeal Board (PTAB) on appeal. Although a small number of practitioners have been able to successfully handle these rejections, most have either failed to overcome the rejections or overcome the rejections using unnecessary claim amendments and/or arguments which give rise to prosecution history estoppel and/or prosecution history disclaimer. In the former case, the applications are eventually abandoned and do not issue as patents. In the latter, detrimental estoppel or disclaimer is incurred which will likely result in significantly narrowed and/or weakened claims if the patents are ever challenged or enforced. These issues are exacerbated by poor patent quality since it is more difficult to overcome subject matter eligibility rejections in poor-quality patent applications. Isn't it the USPTO's responsibility to ensure high-quality patents? There is no shortage of initiatives, reports, and articles pushing for quality improvement at the USPTO. Sure, the quality of a patent can be improved by a well-trained Examiner familiar with the relevant technological field who is capable of performing a good search and examination. However, the patent practitioner is better suited to control patent quality than the USPTO for several reasons. Since most issues with patent quality can be traced back to the original patent application, the patent practitioner has the most influence on patent quality as the drafter of the patent application. The ability to correct quality-related issues is much more limited after filing of the patent application than before. As such, it is critical to draft high-quality patent applications with as few quality-related issues as possible. During prosecution, patent quality is largely influenced by the patent practitioner. Recalling the definition of patent quality above in terms of validity, infringeability, and enforceability, the USPTO cannot control patent quality related to infringeability and enforceability – this is solely the responsibility of the patent practitioner. And while the USPTO can affect patent quality to a limited extent with respect to validity, the patent practitioner should review the Examiner’s work and bears the ultimate responsibility for a patent’s compliance with the statutory requirements for patentability. The quality of pending patent applications can be improved in a number of ways by the patent practitioner. For example, the patent application can be amended during prosecution to remove quality-related issues. Utilizing examiner interviews and written communications, the patent practitioner can work with the Examiner to improve patent quality by establishing a clear understanding of the invention, the technological field, and the cited art. And in situations where the quality of the examination is poor, the experience and intuition of the patent practitioner can be used to draft or amend claims of reasonable breadth which meet with the statutory requirements for validity. My patent document claims priority to a patent application which was drafted by a foreign attorney and filed in a country outside the U.S. In this situation, is quality a concern and is it even possible to correct quality-related issues? Yes and yes. We find that the quality of U.S. patent applications originating from foreign applications is generally much lower than the quality of applications that were drafted by competent U.S. attorneys. This is due to many factors such as a foreign practitioner’s ignorance of U.S. patent laws, incompetence on the part of a foreign practitioner, translation errors resulting from a poor translation of a foreign patent application to English, laziness and/or incompetence on the part of the U.S. practitioner, etc. However, since the ability to amend applications is essentially the same regardless of whether a foreign priority claim exists or not, quality-related issues can often be corrected to increase patent quality. Our portfolio includes multiple patent documents covering software innovations. Is software even patentable? How much time and expense is involved in addressing quality-related issues in software cases? Software patents are the unfortunate victims of widespread ignorance of patent laws in the U.S. and other countries, which has been compounded more recently in the U.S. by confusion over subject matter eligibility, patent trolls, patent litigation reform, and other issues. Although this subject deserves a more thorough discussion, each question will be briefly addressed below. Certain aspects of software innovations are patentable in the U.S., Europe, India, and most other countries. For example, processes performed by software, computer systems which execute software, machinery or hardware operated by software, and even media storing the software can be protected by patents. However, the computer program itself (e.g., the code, instructions, etc.) – referred to as “software per se” in the U.S., “programs for computers” in Europe, and “computer program per se” in India – is generally not patentable. Instead, it can be protected, in some cases, by copyright and/or other laws. And despite the revised standard for subject matter eligibility in the U.S. set by several recent Supreme Court decisions, software remains patentable subject matter. The time and expense involved with identifying and correcting quality-related issues of software patent documents should be about the same as with other technological areas. Although subject matter eligibility issues were initially more of a concern for software, the USPTO has since issued subject matter eligibility rejections in patent applications involving hardware, chemical, and other arts that were once considered safe from such rejections. And competent practitioners can, in most cases, overcome subject matter eligibility rejections in software applications with minimal prosecution history estoppel and disclaimer. We routinely provide presentations on this subject to investors and operating companies. Please email us if you would like more information. How can I improve the quality of my patent portfolio? There are two options: either work with your current firm to improve the quality or transfer the cases to a new firm. Considerations for each option are discussed below. Although working with your current firm is more convenient since a transfer of cases is not necessary, the quality of the portfolio is unlikely to change. Firms tend to promote a certain culture, and the prosecution styles of practitioners within a firm are often very similar. As a result, bad habits leading to poor patent quality are typically shared by most practitioners within a firm and passed on to newer practitioners being trained. These habits are nearly impossible to break, and it is likely that the firm will become defensive when questioned about quality. As such, attempting to work with your current firm to improve the quality of the patent portfolio is often difficult, frustrating, time-consuming, and expensive. Conversely, transferring the cases to a new firm is more likely to yield quality improvements. This presumes that the practitioners handling the cases at the new firm routinely produce high-quality work. Additionally, most firms will transfer in cases at no cost and will handle the transfer with minimal involvement from the client, so transfers should be easy, efficient, and inexpensive. However, it is very important to pick the new firm carefully. Most patent firms, often referred to as “patent boutiques,” cater to clients with larger work flow. In short, higher volume dictates lower prices which almost always results in lower quality. It is therefore critical to find a firm that prioritizes quality above volume. It is recommended to ask for work product examples and run the patents and/or patent application publications through PQA. Additionally, if possible, it is also recommended to have a trusted patent attorney look over the patent documents to assess other quality-related issues. 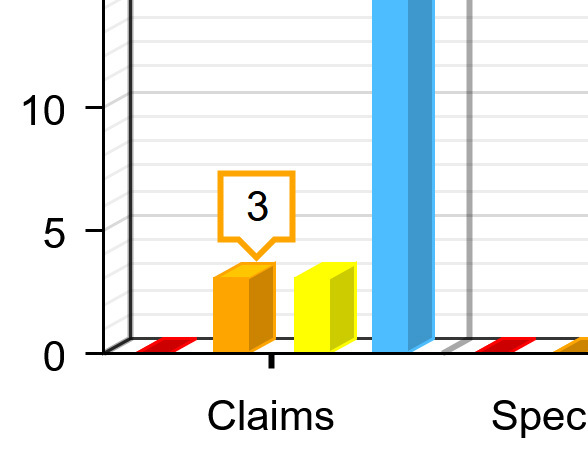 Aren't there other analytics tools available that measure patent quality? How does PQA differ? There seem to be a handful of patent analytics tools, but it is unclear how they work and if they are even implemented. And based on the limited information available for these tools, they seem to focus on issues other than patent quality such as patent landscape analysis, prior art searching, litigation searching, and valuation. To our knowledge, other than PQA, the only other commercially-available tool that purports to assess patent quality is the Ocean Tomo Ratings System (link currently down but brochure can be found here). According to the OTR Score page, an OTR Score is apparently assigned to each patent based on "factors" such that "[p]atent assets with higher OTR scores are statistically more likely to generate economic returns." The OTR-USPTO Rate Card adds that the "OTR score is a computer-generated numerical ranking based on a number of identified predictor variables (patent 'metrics') determined to have significant statistical correlation to patent maintenance or mortality rates." However, it is unclear how OTR Scores are calculated and what OTR Scores actually represent. For example, the OTR-USPTO Rate Card states that "no direct statistical correlation has been established between OTR scores and 'fair market value,' royalty rates, validity, enforceability or infringement." This seems to contradict the statement on the OTR Score page that "[p]atent assets with higher OTR scores are statistically more likely to generate economic returns." And further, this begs the question as to how the OTR Systems are “designed for objectively assessing patent quality” when the OTR Scores do not correlate to the three measures of patent quality: validity, infringeability, and enforceability. And a significant drawback of the OTR System is that it is limited to issued patents. The OTR Systems are therefore unable to assess the quality of over 4.6 million patent publications, thereby depriving patent applicants of the opportunity to address quality-related issues at the optimal time – before patent issuance. In contrast, PQA can be thought of as a home inspection report for patent documents - the fewer and less severe the issues, the higher the quality of the patent document. More specifically, many metrics are used to identify issues affecting the quality of patent publications and issued patents. The issues are grouped by patent document section and severity to provide a clear picture of the weaknesses of each patent document. A respective score is determined for each patent document based on the issues, thereby allowing a Quality Rating to be determined which indicates how the quality of a particular patent document compares to the quality of many others. Thus, PQA provides a larger amount of information about patent quality in a more straightforward and accurate manner for a larger number of patent documents than commercially-available tools. PQA reports that my patent document has a high Quality Rating. I’m in the clear, right? Not necessarily. Some quality-related issues cannot be determined by software. These issues can result in invalidity, non-infringeability, unenforceability, devaluation, increased costs, etc. Therefore, a manual analysis, using the results from our software, should always be performed to identify other issues. More information can be found here. Please email us if you would like to discuss a more in-depth analysis of your portfolio. How many patent documents is PQA capable of analyzing? Currently over 8 million and growing. PQA is configured to analyze U.S. patents beginning with number 6,000,000 and all U.S. patent publications. Does PQA consider the practitioner or firm that handled a patent document? No. PQA is unaware of who filed and prosecuted the patent applications corresponding to patent documents. PQA is also unaware of who handled any post-grant proceedings or litigation associated with patent documents. Is it possible for patents and their corresponding publications to have different Quality Ratings? Yes. Patent applications are often amended during prosecution before issuance. And it is our hope that PQA will encourage more amendments in the future to improve quality. Also, PQA performs additional analysis for patents which is not possible for patent publications. One or both of these factors can cause variations in the number and/or severity of issues, thereby leading to different Quality Ratings for patents and their corresponding publications. Is it normal for the Quality Rating of a patent document to vary over time? As more documents are analyzed and our database grows, the Quality Rating for a given document may change. However, the change should be very small. If you notice a variation of more than one percent, please let us know. Why doesn’t PQA publish the quality scores used to determine the Quality Rating? The quality scores are likely to be of little value to PQA users and, in some cases, may be misleading. On the other hand, the Quality Rating provides a meaningful and straightforward indication of the relative patent quality of one patent document with respect to many others. Why doesn’t PQA provide a description of the issues? As discussed with regard to the second step of our innovative three-step process, the issue descriptions are used internally as a starting point to perform further analysis for clients. If you are interested in improving the quality of your patent portfolio, please email us. Why is the number of document analysis requests capped at five per day? To continue our mission of providing everyone with free access to PQA, restrictions on use were necessary. We feel that five document analysis requests per IP address per day is a reasonable limit. However, we realize that IP addresses are shared, server errors occur, and the like. So if you would like more requests, please email us. In return, all we ask is that you provide information about why you were denied access so that we can improve our system. The results provided by and the information related to PQA are intended for informational purposes only. The results and/or information do not constitute, and should not be relied upon as, legal advice or a legal opinion. Recipients or viewers of the results and/or information should not take, or refrain from taking, action based on their content. Receipt or viewing of the results and/or information do not create or constitute formation of an attorney-client relationship. The email entered appears to be invalid. If it is correct, please send the email using the button above.